The Pakistan Air Force received the last of 18 new F-16C/D Block 52 fighters from Lockheed Martin in early February. Accompanying the aircraft on its delivery flight were two PAF F-16A Block 15s that have undergone the mid-life update process in the U.S. A few days later, the PAF also accepted the first of its F-16s to undergo an avionics and structure upgrade in Turkey. 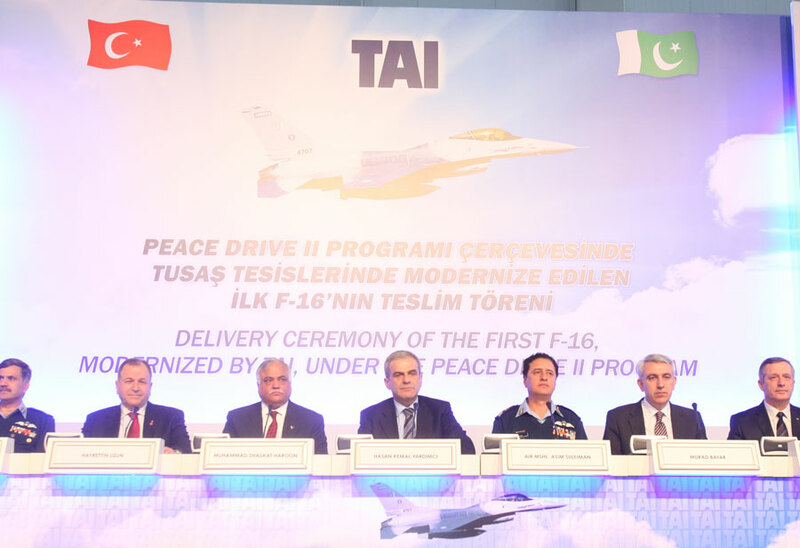 Turkish Aerospace Industries (TAI) has been selected to do the work on 41 PAF F-16s, in a program named Peace Drive II. Modification of the first aircraft began in October 2010 and the last should be finished in 2014. TAI is also providing training to 72 PAF technicians, so that they can subsequently work alongside its workforce on upgrading the F-16s. TAI was established in 1984 to coproduce F-16s for the Turkish air force, and is now pitching its expertise to other F-16 operators. It has done structural and avionics upgrades on the Royal Jordanian Air Force’s F-16s and is now modernizing 175 Turkish F-16s. AIN reported last November on the PAF’s use of F-16s to counter terrorists in the tribal areas of Pakistan.